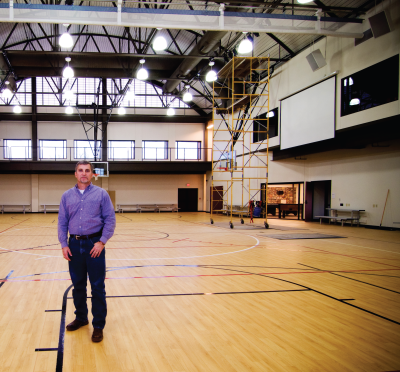 The thirty-thousand square-foot, two-story building features a gym with full size basketball and volleyball courts, locker rooms and showers, a café, and a commercial kitchen on the first floor. “I’d say there’s not a restaurant in town with a better kitchen,” said Piazza. After high school, Piazza went to Texas A&M. In College Station, he majored in construction, and he spent summers with North Texas Construction in Denison. He never particularly wanted to build houses. He was looking for something bigger, so he decided commercial construction was the way to go. On graduation, his summer job turned into a full-time opportunity, and Piazza stayed with North Texas Construction for several years. But working for someone else was not on Piazza’s long term agenda. Fixing things that were broken was not what Piazza wanted to do either. He wanted to start at the bottom and build up, and since residential building didn’t interest him, that meant commercial construction, ground-up construction and major renovations of existing buildings. At the highest of the high end, think Cowboy Stadium or the Empire State Building. But you don’t start there. From that point on, despite the usual tough times most small businesses encounter along the way, buildings and business have been going up for Piazza. 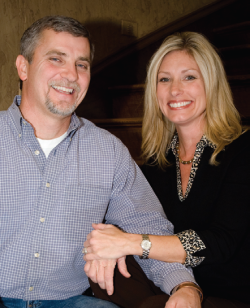 From one employee and $200,000 in annual sales, Piazza Construction Ltd. had grown to thirty employees and sales of $25.5 million in 2008. 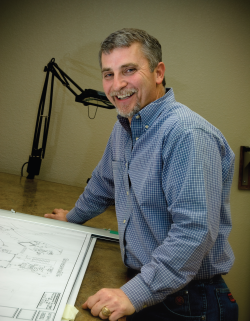 Construction has been a good fit for Chip Piazza, with his love of building and the sense of accomplishment on seeing a finished product that never fades. Some projects are routine, others challenging indeed. From banks to churches and schools to parks, each job has its own qualities. The Early Childhood Development Center for the Chickasaw Nation of Oklahoma, a twenty-one thousand-square foot, $5.6 million project, was one of Piazza’s most demanding. “When you stepped into the building, you would have thought you were in Disneyland. The level of detail was over the top,” he said. The company’s biggest job to date was a $6.5 million middle school for the Alvord ISD in Wise County. In August, Piazza Construction moved into new quarters befitting one of the largest construction contractors in Texoma. Despite the economic downturn of the past year, Piazza’s business remains steady in a highly competitive market. “I’ve been blessed, that’s for sure,” he said. “I’m pleased I decided to stay here in Denison and put down roots,” and a few foundations as well. Great story on a great man. Chip does awesome work and is a pleasure to be around as well. Congrats on the success Chip!